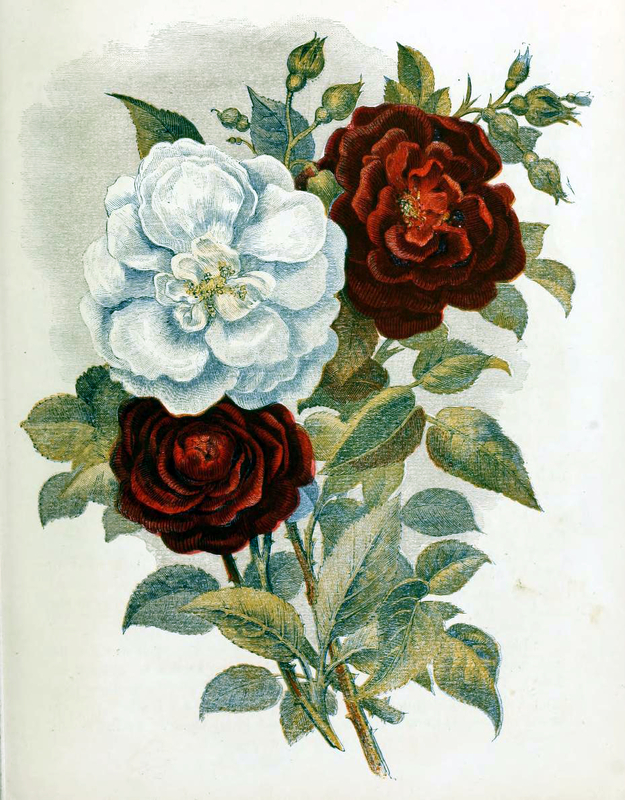 This is a free vintage illustration of red and white country flowers and roses from an antique children’s book. Published in 1857, “A Little Girl’s Trip to a Country Garden follows a little girl from the city as she visits a beautiful country garden with her Mother. This story and its illustrations are perfect for Mothers Day! You may use this antique image for free in your personal and commercial projects without permission. Please provide a link back to FreeVintageillustrations.com when using this image online.